Silky-smooth Cardhu 12 comes from a long established Speyside distillery that began life as a farm in 1811. Taste, to discover a smooth, rich flavour with delicious layers of fruit, honey and nutty sweetness. Packaged in an elegant and prestigious decanter. Silky-smooth Cardhu 12 comes from a long established Speyside distillery that began life as a farm in 1811. Taste, to discover a smooth, rich flavour with delicious layers of fruit, honey and nutty sweetness. Packaged in an elegant and prestigious decanter. - Whisky Bible 2011 score '90' - 'Silver' The Spirits Business 2015. Beautifully presented in this limited edition gift set which includes 2 logo whisky glasses. 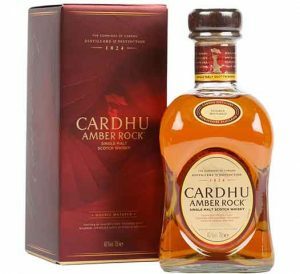 Cardhu Amber Rock is double matured in toasted American oak casks, this new no-age-statement release is described as tasting of citrus and honey with fruit, spice, sweetness and fresh vanilla. 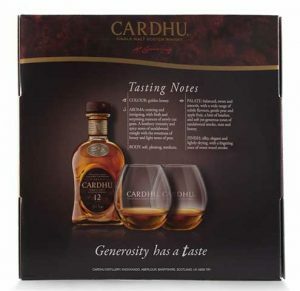 “The Bourbon nuances that develop from the second maturation in toasted casks seasoned with Bourbon whiskey add an even greater silkiness and roundness to the already balanced and delicious Cardhu, bringing vanilla and spice notes along with hints of oak. 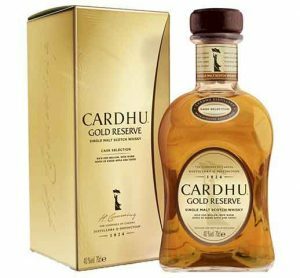 Created using hand-picked toasted oak casks, Cardhu Gold Reserve offers something different to the classic 12 year old with a fruitier nose and a dry, warming palate. 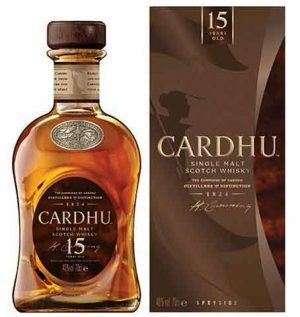 A deep-coloured, well balanced malt whisky of exceptional flavour and smoothness, in which all of Cardhu’s luscious ripe fruitiness is balanced by a delicious spicy dryness. 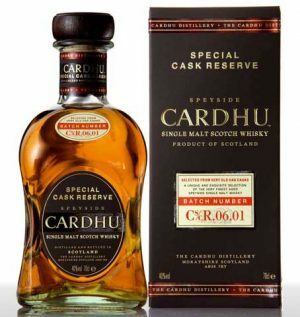 Selected from 'very old oak casks', Cardhu Special Cask Reserve is richer and sweeter than the hugely popular 12 year old and has proved very successful since its release. "Good feel medium bodied mixing a dominant crisp dried grassy note with orange peel, chocolate and a creamy mid palate. Finish is Spicy with chocolate but dries fairly quickly. An older brother to the 12 yr old, this 15 year old has a few more years of maturation to build up more of the sweet, rich notes. "Notes of honeyed pear, orange rind, ginger, and vanilla. Nicely balanced and satisfying" This malt is extremely popular in Spain and France. Let it sit for a while in your glass and you will find it opens up and becomes more complex. 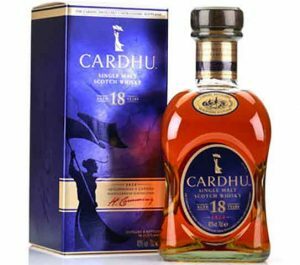 Available in limited quantities, this 18 year old Cardhu is an outstanding single malt whisky, with a richer and more complex flavour. Fruity notes of plum and exotic fruits and gourmet flavors of chocolate and dried fruit. "Good body and appealing malty/honeyed sweetness, with a development on orange cake and liquorice and a faint earthiness that brings it more complexity. Some black tea as well. 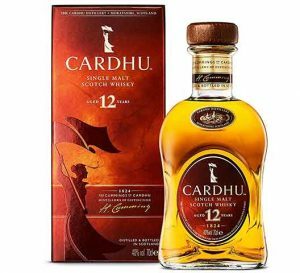 Finish: short to medium, clean, with more caramel and herbal teas" If you enjoy the Cardhu 12, you will love this 18 year old ! 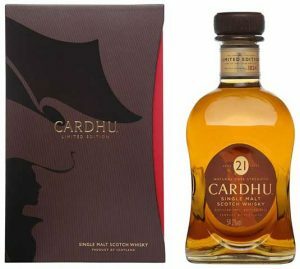 This Cardhu 21 Years Old is part of the Diageo Special Releases. The spirit was matured in ex-bourbon American oak casks. A limited edition release of only 6,000 natural cask strength bottles worldwide.